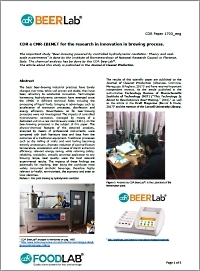 CDR BeerLab® and the research of CNR for innovation in brewing process. We present the important study “Beer-brewing powered by controlled hydrodynamic cavitation: Theory and real-scale experiments” done by the Institute of Biometeorology of National Research Council (CNR) in Florence, Italy. 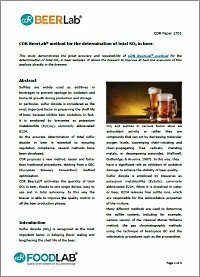 The chemical analysis for the quality control in brewing process, involved in the study, has be done with CDR BeerLab®, by the CNR researchers. 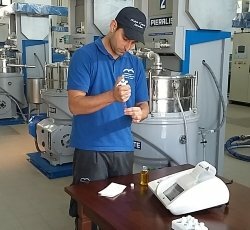 OxiTester, the analytical system for vegetable oils and fats, was used during the study entitled “Qualitative Changes of Olive Oils Obtained from Fruits Damaged by Bactrocera oleae (Rossi)”, performed by Riccardo Gucci, Giovanni Caruso, Angelo Canale, Augusto Loni, and Alfio Raspi Department Coltivazione e Difesa delle Specie Legnose ‘‘G. Scaramuzzi,’’ University of Pisa, 56124 Pisa, Italy Stefania Urbani, Agnese Taticchi, Sonia Esposto, and Maurizio Servili Department Scienze Economico-Estimative e degli Alimenti, University of Perugia, 06126 Perugia, Italy. 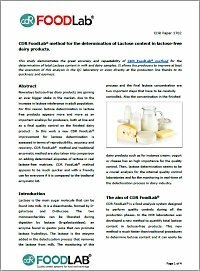 In the study published in the Journal of AOAC International, the CDR OxiTester photometric method for the determination of the amount of polyphenols/stability index of oil was validated and compared with the Rancimat method.